On March 20, the Quebec Minister of Labour introduced Bill 176, amending the Act respecting Labour Standards (the “LSA”). The Bill proposes sweeping changes to the LSA in the following areas. All personnel placement agencies and recruitment agencies for temporary foreign workers would be required to obtain a licence issued by the CNÉSST (the government agency that oversees the application of the LSA and other employment-related laws and regulations) to operate. The proposed amendment would prohibit clients of these agencies from retaining the services of agencies that do not hold a valid licence. Employers that knowingly violate this prohibition could be liable to a fine of $600 to $6,000, doubling for any subsequent offence. 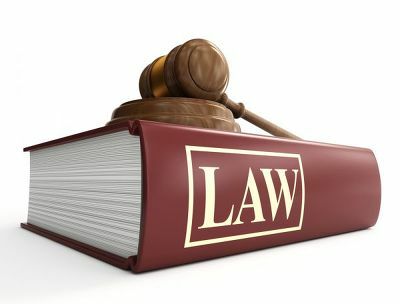 The Bill provides for the implementation of regulations in order to define the entities subject to it, establish classes of licences, prescribe the administrative measures that apply if the the new obligations are not complied with and to prescribe the obligations of a client that retains the services of such agencies. The amendments described in the present section will only apply when the regulations come into force. Bill 176 provides that “No personnel placement agency may remunerate an employee at a lower rate of wage than that granted to the employees of the client enterprise who perform the same tasks in the same establishment solely because of the employee’s employment status, and in particular because the employee is remunerated by such agency or usually works fewer hours each week”. This amendment seems to be inspired by similar amendments to the Ontario Employment Standards Act, 2000 which have been in force since April 1, 2018. In addition, the employer shall be solidarily liable for the personnel placement agency’s monetary obligations fixed by the LSA and its regulations (i.e. salary, vacation pay, overtime, statutory termination notice and any other amount that can be claimed by the CNÉSST according to the LSA). This means that employers may be held liable to the employees supplied by the personnel placement agency, including any claim related to a lower rate of wage than that paid to the employees of the client who perform the same work in the same establishment. Bill 176 would amend section 87.1 of the LSA to prohibit any distinction “made solely on the basis of a hiring date, in relation to pension plans or other employee benefits, that affects employees performing the same tasks in the same establishment”. This section of the LSA already specifically prohibits differences in treatment made solely on the basis of a hiring date relating to salary, duration of work, statutory holidays, vacation, rest periods and other standards. Bill 176 provides that any employee who has been the victim of such an unlawful distinction may file a complaint with the CNÉSST. It grants to the Tribunal administratif du travail the power to, among other remedies, order that the distinction no longer be made, order that an employee be made a member of a pension plan, make other benefits applicable to the employee and order the employer to pay the employee damages for any loss resulting from the distinction. However, according to one of the transitional provisions of the Bill, this prohibition shall not apply to a distinction made solely on the basis of a hiring date existing on a date prior to this modification to section 87.1 LSA coming into force. This transitional provision would therefore maintain the status quo and the differences in treatment existing on this date. In respect of employees hired after this amendment comes into force, we believe that the intention of the legislator is that if the distinction existed before it came into force, it will be protected by the transitional provision. For example, let us assume that on the date this amendment to section 87.1 LSA comes into force, an employer offers a defined benefit pension plan for employees hired before January 1, 2000, (plan A) and a defined contribution pension plan for employees hired after January 1, 2000, (plan B). By offering plan B to its employees hired after section 87.1 LSA is amended, it is our view the employer will not create a prohibited distinction, as the legislator’s intent would be to protect all differences of treatment applying to employees before the amendment comes into force. We do not believe that the purpose of the Bill is to grant more rights to employees hired after the amendment comes into force than to employees that were already subject to such differential treatment from that same employer before that. However, as stated by the Conseil du patronat du Québec in a newsletter published on March 20, 2018, “this future prohibition might be the source of more conflicts within unionized business.” The way this transitional provision is drafted, if not modified before the adoption of the Bill, might indeed create conflict. For example, employees and unions could argue that an employee hired after the amendment to section 87.1 LSA comes into force cannot be subject to a distinction that already existed within a business. According to this argument, this employee would therefore be entitled to the benefits offered to the most senior employees (plan A to refer to our example above). It is possible that they will argue that for a distinction to be legally maintained by the transitional provision, there had to be an existing contract creating the distinction between the employer and the newly hired employee before the amendment to section 87.1 LSA came into force. Modifications to a pension plan or to other benefits plans after the Bill comes into force might also generate conflict. Substantial changes to these plans could raise questions as to the application of the transitional provision. If a distinction based on a hiring date is substantially modified after the Bill comes into force to the point where it is not the same “distinction” that “existed” before it came into force, this could be matter for conflict. Based on our previous example, if plan B were modified and transformed after this section of the Bill came into force into a plan C that is less advantageous, increasing the disparity that already existed between plan A and plan B, there could be attempts to attack the new plan C on this basis. Contestations could arise after the modification to the pension and/or benefits plan is agreed upon with the union and implemented, since a collective agreement that contravenes a labour standard or that is inferior thereto is absolutely null. In the case of a suicide of an employee’s spouse, father, mother or child of full age, the employee would be allowed to be absent from work for a period of 104 weeks (instead of 52 weeks) (s. 79.11). Certain provisions would now provide additional protections to foreign workers. The CNÉSST would be allowed, even if no complaint is filed, to exercise any recourse on behalf of the worker if it has grounds to believe that one of the employee’s rights has been violated (s. 92.10 à 92.12). None of the proposed changes will have the force of law until approved by the Legislature. Miller Thomson will continue to monitor the status of the legislation and report on further developments. c) their work is performed under similar working conditions. b) if the temporary help agency disagrees with the assignment employee’s belief, provide a written response to the assignment employee setting out the reasons for the disagreement. The third paragraph of section 87.1 of the Act respecting labour standards (chapter N-1.1), as enacted by section 32 of this Act, does not apply to a distinction made solely on the basis of a hiring date and existing on (insert the date that precedes the date of coming into force of section 32 of this Act). Sections 87.1 and 93 of the Act respecting labour standards, CQLR, c. r N-1.1.